A direct competitor to the popular Oculus Rift and HTC Vive VR headsets, Microsoft released their own line of virtual reality hardware in fall 2017 dubbed Windows Mixed Reality. While the term “mixed reality” implies a blend of VR and AR technology, the current lineup of headsets from manufacturers like Samsung, Acer, Dell, and HP function solely as VR hardware- Microsoft claims future hardware releases will eventually support mixed reality functionality. Unlike comparable premium VR headsets like Oculus Rift and HTC Vive, Windows Mixed Reality motion controllers function without the need for traditional external sensors- the headsets themselves have integrated cameras and sensors designed to track player movement. Windows Mixed Reality headsets feature SteamVR support with additional software available at the online Microsoft Store. A compatible Windows 10 PC is required to use Windows Mixed Reality hardware. Sony’s Playstation VR is the only non-PC headset on our list- but its relative low cost and selection of high-quality games make its spot well-deserved. As the name implies, Playstation VR is an extension of the Playstation 4 ecosystem, meaning you’ll need a Sony PS4 or PS4 Pro console to get started. While the hardware itself may be marginally less powerful than its PC competitors, where Playstation VR shines is its selection of must-have exclusive VR experiences like The Elder Scrolls V: Skyrim VR, Resident Evil 7, and Thumper. Playstation VR is available in 2 options: headset-only or bundled with a camera and motion controllers (though we would definitely recommend motion controls to enhance player immersion). 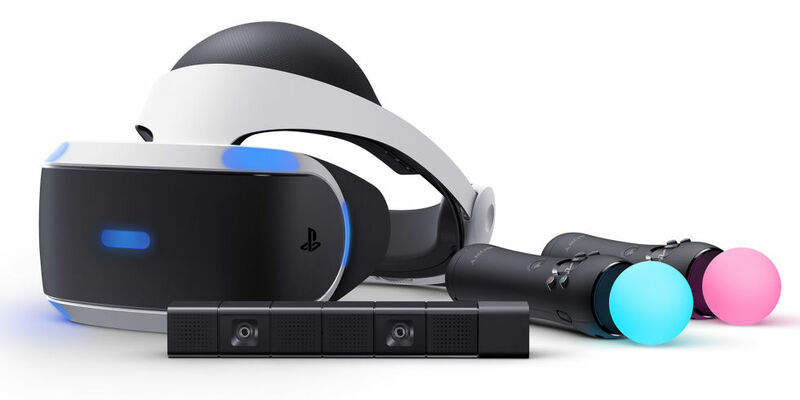 Playstation 4 owners looking to explore VR for the first time- Playstation VR hardware is likely the best option for you. The Oculus Rift is a powerful virtual reality headset and currently one of the most popular VR hardware solutions (alongside its direct competitor the HTC Vive). Oculus Rift includes 2 motion controllers, two 1080×1200 resolution displays (one per eye), a 90 Hz refresh rate, and 110 degree field of view. The device also includes integrated audio, providing users with an immersive 3D audio effect without the need for external headphones. In addition to the plethora of games available through SteamVR and the online Oculus storefront, Oculus Rift can also be utilized for a number of non-gaming experiences including social applications, industrial and professional training, and viewing television/film content. Oculus Rift is available now for $399.00 and requires an Oculus-ready PC to use. Like the Oculus Rift, the HTC Vive is a dominant player in the high-end VR market with nearly identical specifications to the Rift. 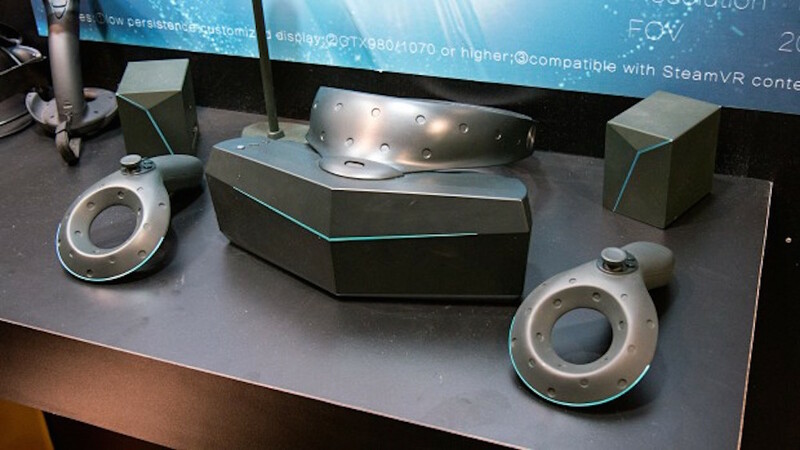 Upon release, the HTC Vive was applauded for its use of “room scale” tracking technology, allowing users to move around and interact with VR applications in a large, 3D space using motion-tracked controllers. While Oculus has since adopted the same technology into its own device, the Vive still stands as a technologically advanced VR headset with an impressive selection of applications and games. 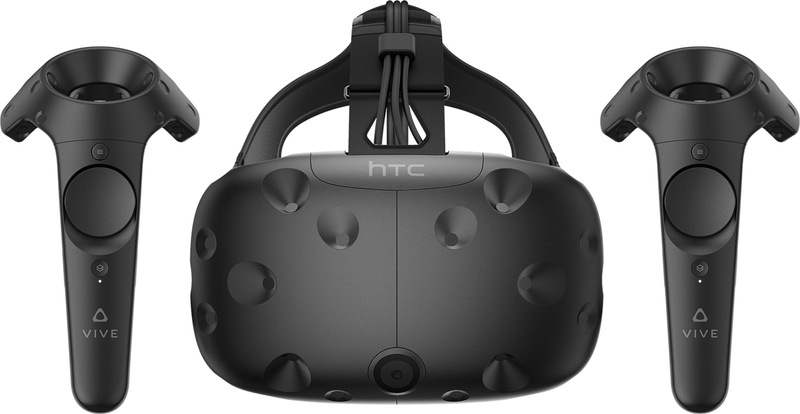 The HTC Vive is available now and, like its Oculus counterpart, requires a powerful VR-ready PC to operate. What better way to conclude our roundup of high-end VR hardware than to examine one of the most promising upcoming products: Pimax 8K. In fall 2017, Chinese VR hardware manufacturer Pimax successfully raised over 4 million on Kickstarter to develop the world’s first 8K VR headset. Boasting a 200 degree field of view for increased peripheral vision as well as no screen door effect, Pimax 8K will release in 2018 and be compatible with over 1,700 VR games, videos, and apps. As with all other headsets on this list (minus Playstation VR), a compatible PC with a dedicated graphics card is required to run Pimax 8K VR games and software- see here for specific hardware requirements. That brings us to the end of our two-part VR Buying Guide…do you plan on purchasing any VR hardware this holiday season? We’d love to hear about it- sound off on our Facebook or Twitter!